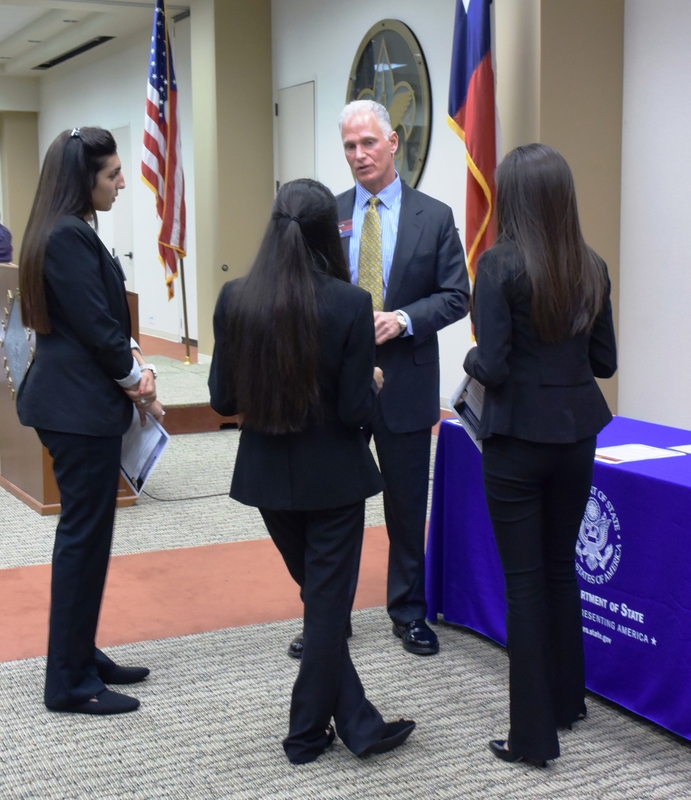 LEAP Center Students had a great chance to explore international careers as they met with representatives from the State Department, NASA, FBI, and the non-profit organization Pangea. 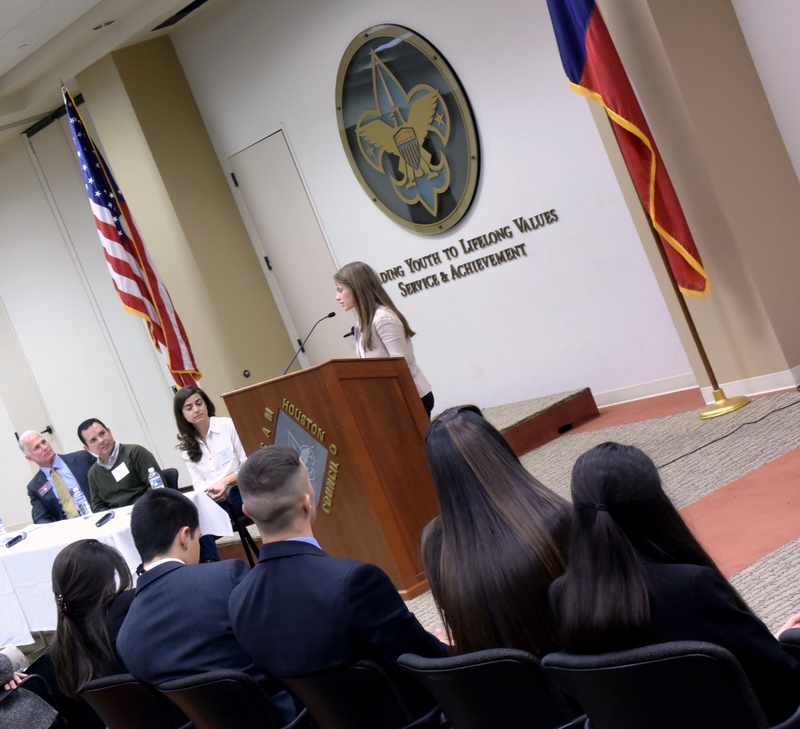 It was a rare chance to get face time with representatives from these groups, and the LEAP Center students were the only college students on hand to take advantage of this opportunity. Although the students knew much about opportunities with the FBI and the State Department, the students were exposed for the first time to the work of Pangea, which provides resources to women in developing countries. And while the students were familiar with NASA, they hadn’t thought of NASA as an international career option. But after hearing of their hiring practices and the International Space Station, we realized that NASA was not only Interstellar, but also International! Happily, these tips fit right into the LEAP Center’s mission, which is to broaden horizons, stress academics, and gain internships in the professional world. …who amplified on these tips, and encouraged the students to apply to the State Department. 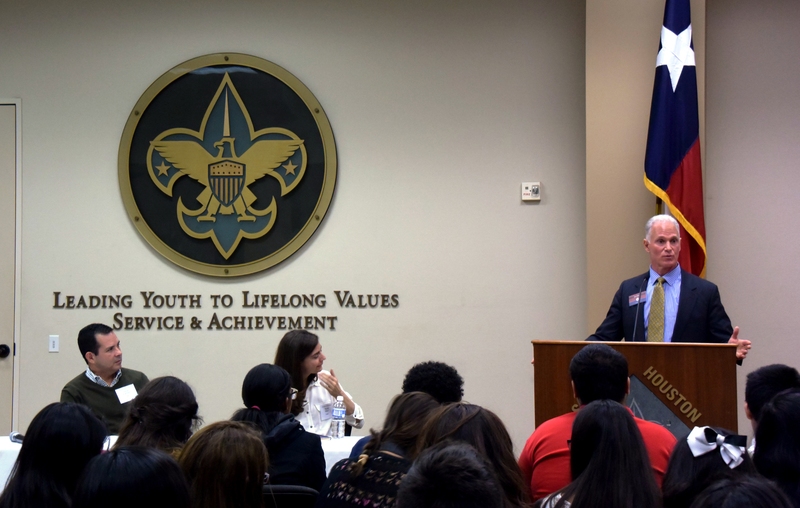 In fact, he discussed the possibility of coming to SHSU with the hopes of following up and recruiting additional students!